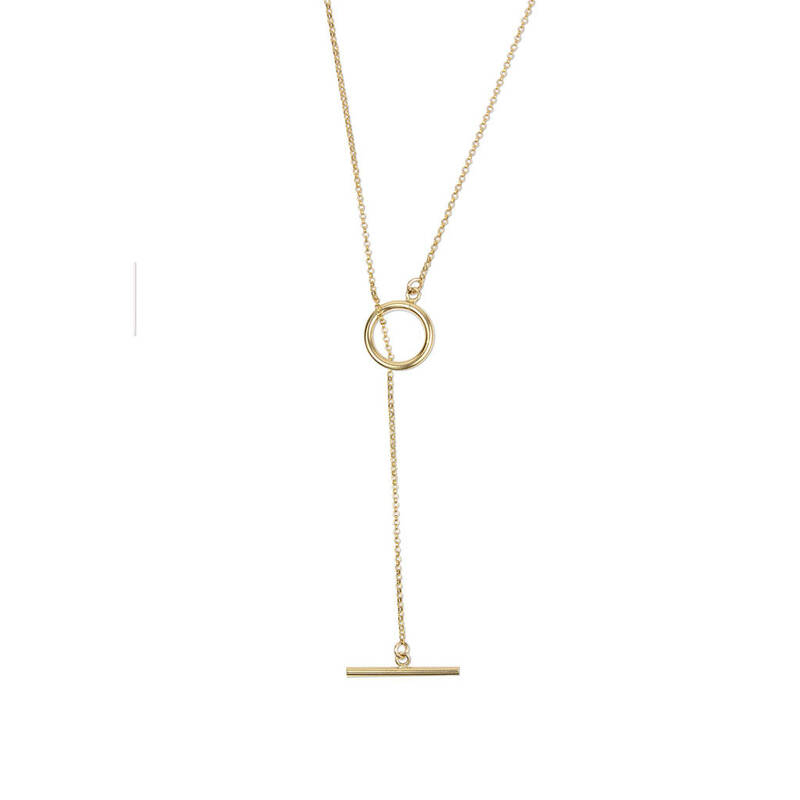 A delicate necklace using a linked rolo chain. 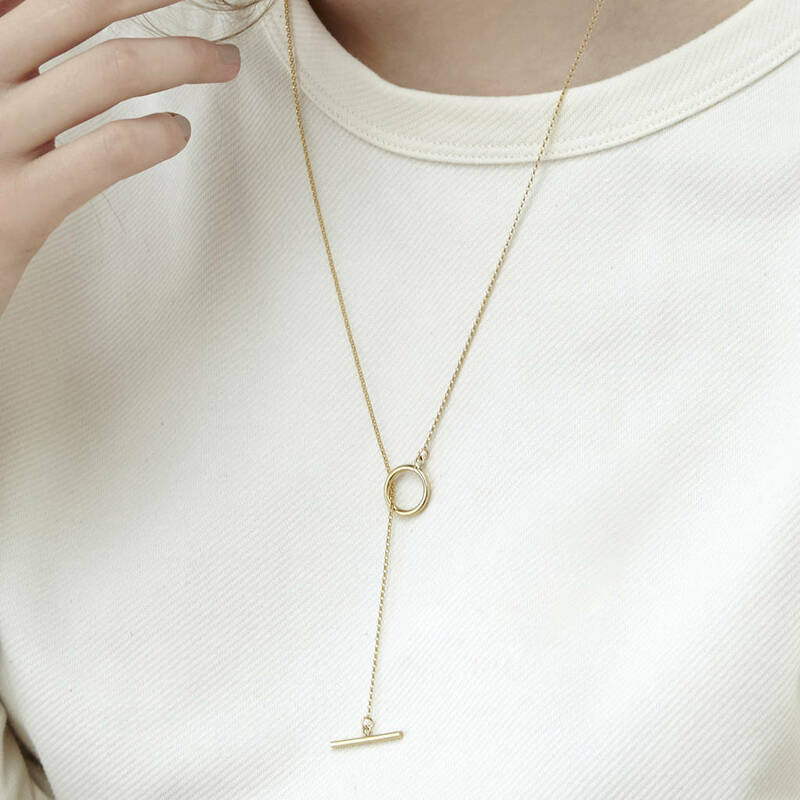 So simple it can be layered with all your favourite pieces. The is a delicate and elegant necklace which can be worn alone or mixed and matched with other pieces from your jewellery box. A simple design and unusual in the way that the fastening toggle is also the pendant. The toggle bar threads through the hollow tubular circle and hangs down over your clothing. The length of the chain is 62cm. The circle part of the toggle is 15mm diameter with the bar measuring 24mm x 2mm. The AF branded tag is attached to the back of the single piece of chain.